The Initiative has grown from a promising idea to a respected place of civil dialogue. 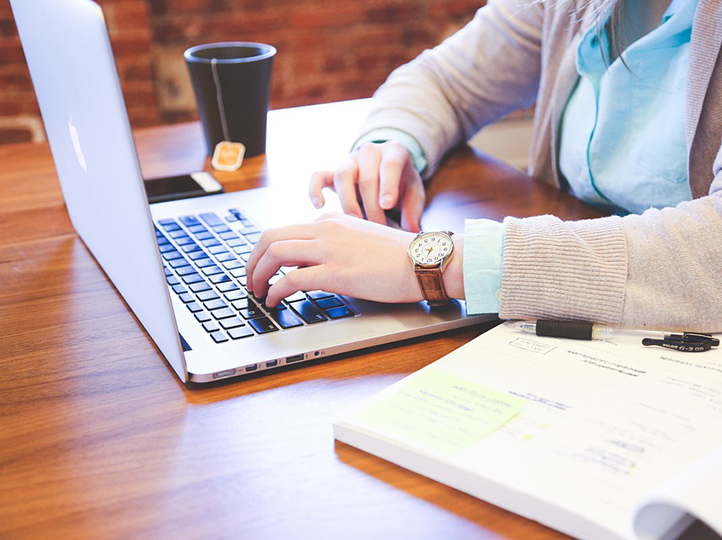 Explore the publications that convey our current and past work. 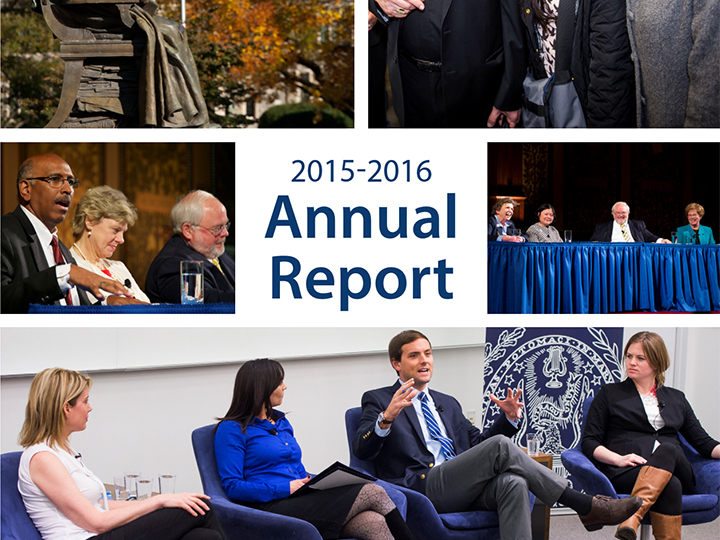 The Initiative's annual report provides an overview and highlights of key programming during the 2017-2018 academic year, such as a national Convening on Overcoming Polarization Through Catholic Social Thought and a series of Dahlgren Dialogues. 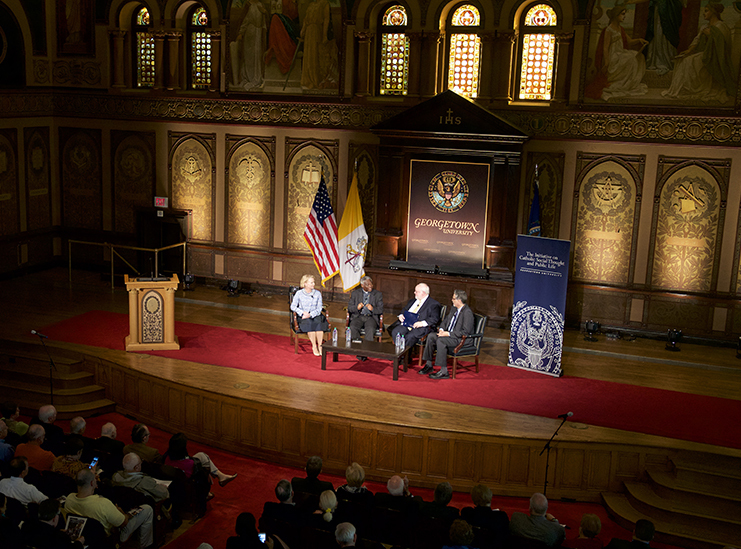 The Initiative is a unique effort to promote dialogue on Catholic Social Thought and national and global issues; build bridges across political, religious, and ideological lines; and encourage a new generation of Catholic lay leaders. 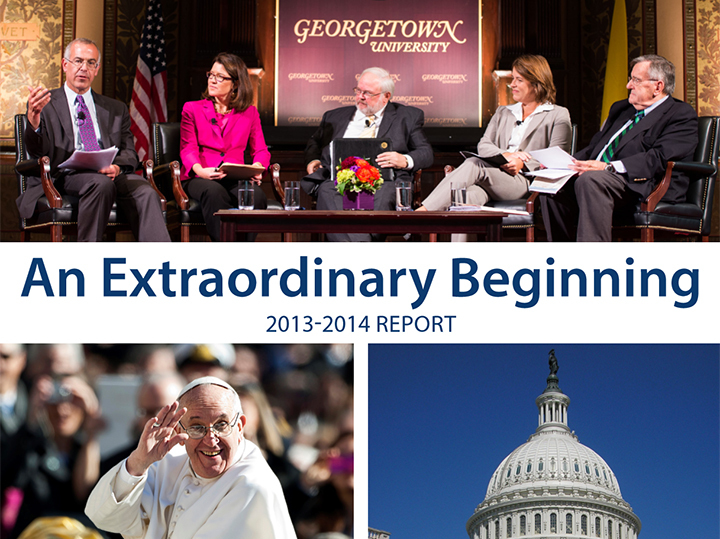 The Initiative's third annual report covers its activities and programming during the 2015-2016 academic year, including Pope Francis' visit to the United States. 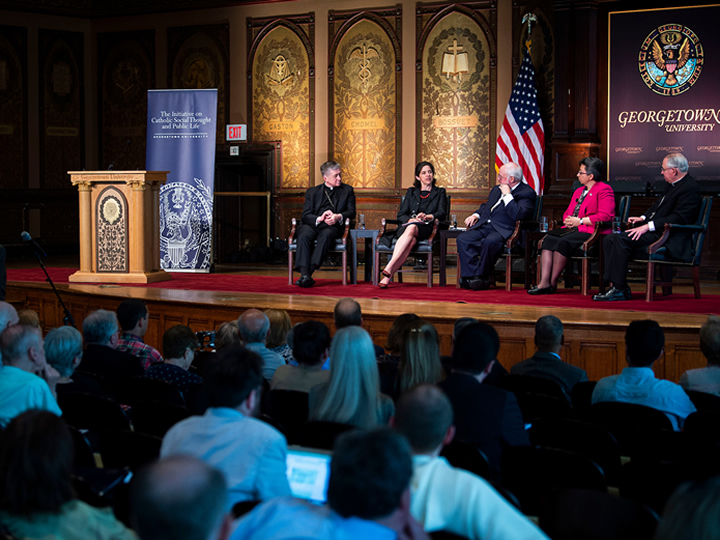 The Initiative's second annual report covers its activities and programming during the 2014-2015 academic year, with a particular highlight on the historic Catholic-Evangelical Summit on Overcoming Poverty. 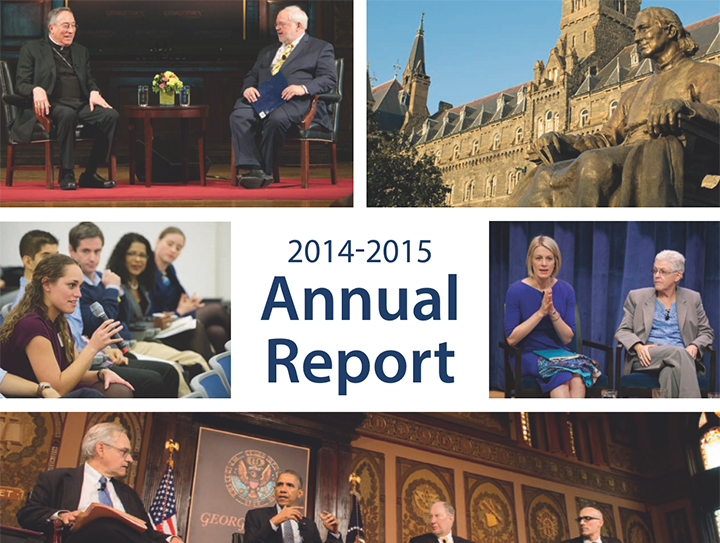 An extraordinary beginning, the Initiative's inaugural annual report covers its activities and programming during the 2013-2014 academic year.